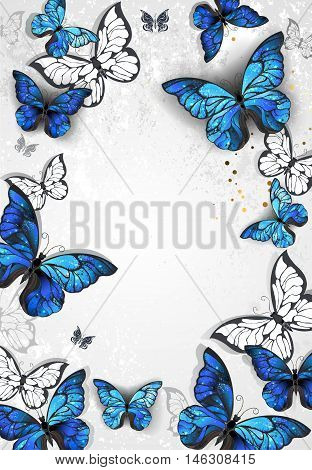 Frame with blue realistic morpho butterflies on gray textural background. Design with butterflies. Morpho. Design with blue butterflies morpho.